The old Chinese curse goes: "May you live in interesting times." We must have angered someone somewhere pretty badly — the world is not exactly boring at the moment. Some may question what I’m doing writing the second installment of "Macrimination" just as the United States goes to war with Iraq. Let them. Maybe I can provide a momentary break from the bombs and the death for some. Besides, if the NCAA can go on with the Big Dance, why can’t I write my little Mac column? That said, a central part of the fight against Macrimination has always centered around an ignorance among the general population as to what one can actually do with a Mac. You’ve heard the comments: "You can’t play any games." "Macs aren’t fast enough." "But my office uses Microsoft Word, and Macs aren’t compatible." We all know how false these claims are (If you don’t, please see Apple’s switch page, I’m not getting into those basic questions here). But there’s one place that Macs still can’t go, for the most part. Given Apple’s focus on the "Digital Hub" over the last couple of years, I’ve always found it very surprising. I’m talking, of course, about online movie and music services, like pressplay and MovieLink. If you don’t believe me, just click that link on your Macintosh and go to MovieLink. The script on its front page will chew on the details of your system for a bit, then spit back a page saying: "You currently do not meet our minimum system requirements. You will need to adjust the following: You Need Windows 98, ME, 2000, XP." Pressplay is a bit sneakier about it — its front page doesn’t mention anything, you don’t find out until you’re signing up for their free trial and a little box in the upper right corner describes the program’s system requirements: "PC only. Windows XP/ME/2000/98." Now I’m a Virtual PC owner, and I’ve always prided myself on being able to cheat these cheats by running Windows in a secure memory space on my computer. For the most part, I can do just about anything I could do if I had a PC, except play graphics-intensive games. But they did a good job locking up these services. I spent a good day about a month ago trying to a get MovieLink to work on my work with Windows 2000 on my Virtual PC. I was able to log in, install the software, and even download the movie. But I always got an error on playback and I was never able to watch it. Purely for research purposes, I found the hidden file that was my downloaded movie (which was set to be erased from my hard drive forever the next day!) 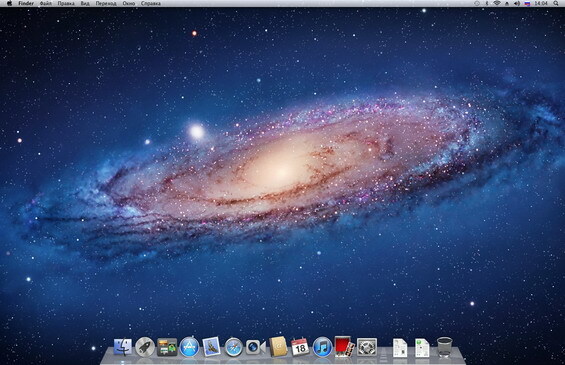 and moved it to my Mac work space to see if I could find a way to play it. At least, it was for research purposes at first. When I couldn’t get it to work on Virtual PC, it was more a matter of trying to get my money’s worth. No dice. Two days later, I rented "Murder By Numbers" at my local Blockbuster. I had given up on the Internet movie experience. This is a huge piece missing in Apple’s Digital Hub vision. Think about it: You can watch and create DVDs, you can have music on your iPod (only if you own CDs for the music on it! ), and you can work with your digital photos. With El Gato’s EyeTV, you can even turn your Mac into a very capable TiVo system. But if you want to join the next wave of the digital revolution and really put your broadband connection to the test and download "Goldmember," forget it. There has been a development on the horizon that could finally bring these services to the Mac. It was recently announced that digital rights management capabilities could soon be added to mpeg-4, the streaming media format being championed by Apple. Digital rights management really isn’t very pretty, if you ask me. The computer files you download or stream are encrypted to prevent you from copying them from computer to computer, or even from listening to them or watching them after a certain amount of time has lapsed. I don’t really like a computer file telling me after a day or two that I can’t open it anymore, or that I can’t back it up on a CD. It’s kind of like a book refusing to open after a week, but yet you’re still left with that book sitting on your shelf, not good for anything but the next garbage run. The big movie studios and music distribution companies, however, love this technology, of course. It gives them the possibility of sating the public’s thirst for electronic versions of their music without having to worry about the Napsters, Gnutellas and Kazaas out there. The online music and movie providers, such as pressplay and MovieLink, use the Mac’s lack of digital rights management as their catch-all for not supporting the platform with their services. If the mpeg-4 consortium and Apple adopt some sort of digital encryption, these services would have no excuse but to support Macs. With recent news stories about Apple’s possible online music service showing up everywhere, even on The Associated Press wires, it seems that Cupertino has come to that realization, also. Let me make one thing perfectly clear: I do not support the permanent use of such fascist technologies. But I like watching movies on my Mac. I have a broadband Internet connection. I have an iPod. I would love to just come home late one night and decide that I want to download the latest movie release and watch it on my pretty 17-inch cinema display. I already watch DVDs like that sometimes. Unless I have company, I prefer it over the analog TV I have in the living room. But I don’t have any ideas yet for a better way of doing it. If I did, I’d be much richer and would have a different day job. Until that new model is found, Apple needs to assure the big movie houses and music providers that their media can be played safely on a Mac. It will also prevent PC people from saying: "See, there’s something else we can’t do on a Mac."